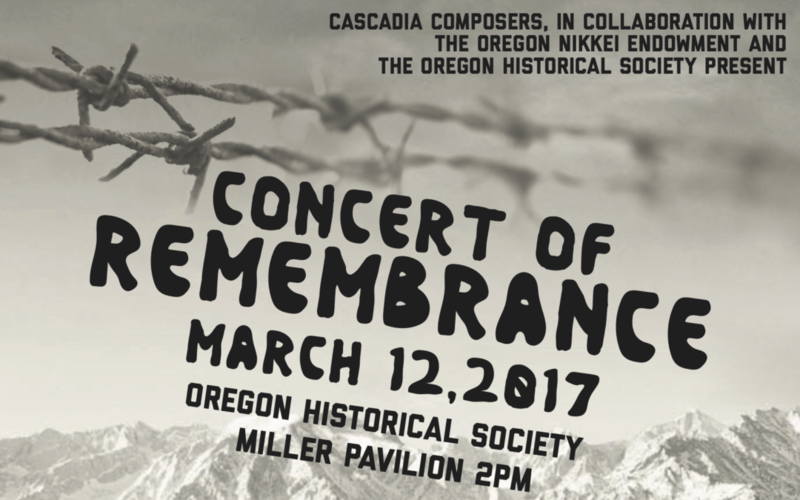 As part of the Oregon Historical Society’s “Second Sunday” Series, this concert commemorates the 75th anniversary of FDR’s Executive Order 9066, which uprooted American citizens of Japanese descent all over the Western US and placed them in internment camps. In collaboration with Nikkei Legacy Center Japanese History Museum. Sunday March 12th @ 2pm | Oregon Historical Society Foyer, 1200 SW Park Ave, Portland. Donations gladly accepted, but there is no charge. Seating is first-come, first-served.